WeeChat is an open-source, multi-platform lightweight and extensible chat client, having a text user interface only. Having support for scripts and plugins that can be loaded either at startup or dynamically, the app has support for IRC. Also, it permits multiple connections to multiple servers, has support for UTF-8 and can use multiple character sets for encoding/decoding messages. 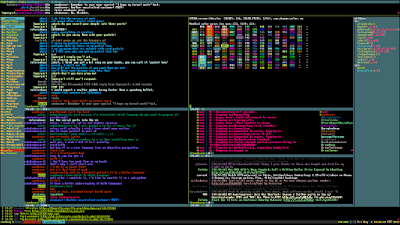 core: change default value of option weechat.look.nick_color_hash to "djb2"
core: move nick coloring from irc plugin to core, move options irc.look.nick_color_force, irc.look.nick_color_hash and irc.look.nick_color_stop_chars to core, add info "nick_color" and "nick_color_name", deprecate info "irc_nick_color" and "irc_color_name"
trigger: add "recover" in default triggers cmd_pass/msg_auth, and "regain" in default trigger "msg_auth"
irc: fix /msg command with multiple targets including "*"
relay: fix the max number of clients connected on a port, allow value 0 for "no limit"
WeeChat is available via PPA, so the Ubuntu users can get the latest versions of the app on their systems easily. Just add the ppa to the system, refresh the repository index and install the weechat package.